Trinh Linh Giang has climbed up the ATP world ranking to stand at No 1,637, the ATP’s announcement has revealed. Giang jumped 439 steps thanks to his second-round berth at the Thailand F6 Men’s Future in late December. His senior teammate Ly Hoang Nam also climbed up six steps compared to last week and now ranks No. 641. 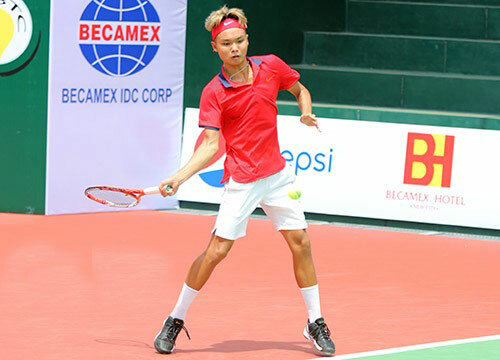 Nam entered the second round of the singles category and quarter-finals of the doubles class at the Thai competition. Another Vietnamese, Nguyen Hoang Thien, who did not take part in any tournament last month, dropped two steps to No 1,442. There is no woman tennis player from Vietnam on the WTA’s ranking list. On top of the ATP list was Andy Murray of Great Britain, who maintained his No 1 position. He is followed by Novak Djokovic of Serbia and Milos Raonic from Canada. On the women’s side, Angelique Kerber of Germany is the top player, while American Serena Williams and Agnieszka Radwanska of Poland are second and third, respectively./.